This is a cryptic and narratively ambitious story that is the keystone for some dramatic future events. 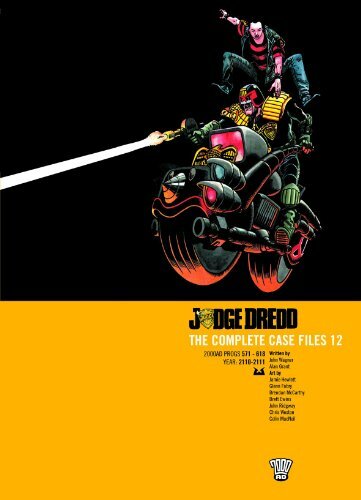 Through the last few stories we have seen Dredd getting older and questioning his judgement once again. Now we see that the Justice Department has a frightening contingency. This is a powerful tale about youths lost in gang culture. It seems more like a cautionary tale for our own society than one more at home in the mega-city. Another returning storyline (the Wreckers) is moulded into a brief tale of one man and his truck. From this point on we see Grant and Wagner starting to be credited on separate stories rather than writing as a duo.